According to "bestplaces.net," the average one-way commute in the Lincoln area takes 16 minutes. Employees with a UNL ID and StarTran Bus Pass have access to unlimited service. 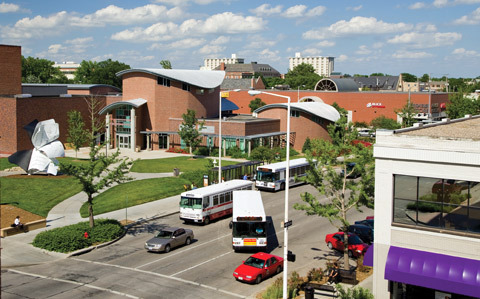 Bus passes are issued at no charge to employees who purchase an annual, semester or nine month parking permit. Visit the Star Tran site for more information. In Lincoln, cycling is a way of life. 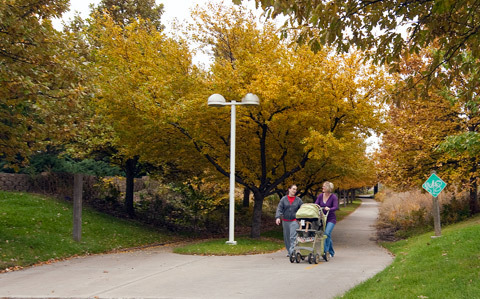 With over 131 miles of bike trails, nearly a dozen local bike shops, and the addition of the new "N" Street cycle track, Nebraska’s first and only protected bikeway, Lincoln is one of the most livable—and bikable—cities in the Midwest. Visit the Lincoln Trail site for more information. The Lincoln Airport offers convenient daily connections to Chicago, Denver and the Twin Cities via Delta and United airlines.